This is an October 2018 update of a post published in January 2015. There are different ways you can monetize your website, like selling or placing ads and offering your products or services. One of the most lucrative ways to make money with your blog is definitely with sponsored posts. In this post, I am going to give you some tips to generate income with sponsored reviews and I’ll present you four interesting resources I use with success. Sponsored posts (or sponsored reviews) are articles commissioned by third parties (typically advertisers, or agencies), where you usually write your point of view and experience of specific products or services. Normally, you get in touch with the potential advertisers offering to write the review or, you can also be contacted directly by them. There are pros and cons of sponsored posts, but if you put yourself in the shoes of your readers, you will end up having just advantages. Like everything in life, just use a little of common sense. First, you want to have a nice layout and professional design (I use Genesis Framework personalized theme here). Make sure to have an original and unique logo and your blog sidebar filled with important things like subscription box or social accounts. After this, you want to set up an advertising page (with your media kit), where you explain to potential advertisers your blog statistics. You want to showcase the best of your website, so be sure to write your strong points, like for example monthly impressions and visits, social numbers or the stats of your newsletter. But, how much should you charge for a sponsored post? It really depends on metrics like your blog traffic or SEO rankings. 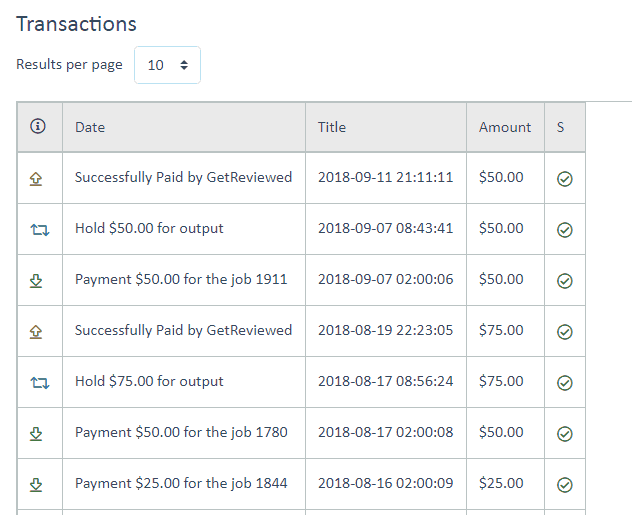 I’ve been paid anything between $150 and $500 on nopassiveincome.com, depending on the project. How many sponsored posts are you going to publish each month? Can you offer something extra, like social promotion, for example? How much time are you going to spend reviewing the product or the service? How many readers do you have? Will this sponsored post help my audience? Will this product or service be useful to my blog readers? If the answer is yes, then go ahead. As promised, keep reading to discover some websites I use to make money with sponsored posts on my blog. They used to be LinkVehicle, and they recently rebranded to ValuedVoice. Remember to fill up your profile, with your information and, most important, your PayPal address. Once your blog is on their system, you just need to wait for sponsored post opportunities. I get work from them each month. I submitted almost all my niche sites (related to business, finance, social media, etc). Payments are made via PayPal, with free cashouts the first day of each month. You will start with a free account. 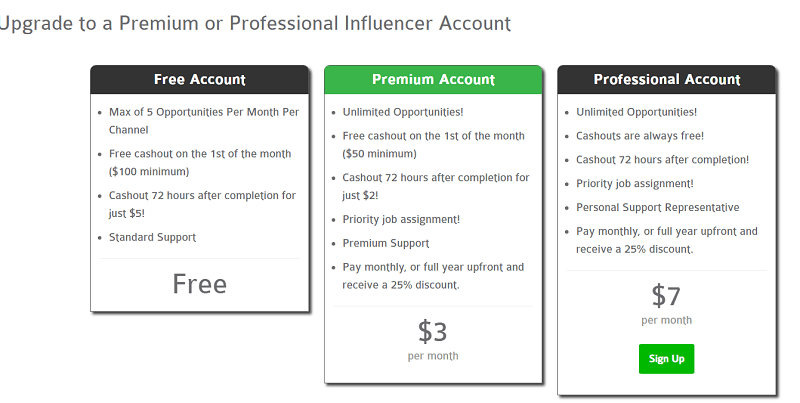 However, you may decide to upgrade to a Premium or Professional Influencer Account. I have a premium account (just $3 each month) and I can request a cashout 72 hours after completion of the assignments. To start making money with ValuedVoice, be sure to sign up here. This is another platform where I get assignments each month. You can register here and submit your blogs. Type your URL, then add language, category, and description of your site. After this, you can click “Continue“. In the next page, determine the amount you want to charge. The price of the offer is based on the average price on the market for offers with similar characteristics. If major changes occur, the price will adjust accordingly. The return of your earnings should be based on the general quality of your website. SeedingUp is a marketplace, in which basic rules such as supply and demand of offers apply. The price of your offer can be adjusted at any time. You can decide within a range of prices for each blog booking, but you may want to set the lower rate, to be competitive on the marketplace. Once you are happy with all the settings, go ahead and click on “Create Offer“. Seeding Up will check your offer and will get in touch with you once it is reviewed (calculate 1 – 2 working days for a new offer to be activated. In individual cases it may also take a bit longer). SeedingUp has a unique payment method. If you sell a blog post on your site (let’s say, for $120), you will be paid a monthly installment of $10, for 12 months. Each month, it will sum up, depending on how many posts you have sold. – convert into advertising credits. I usually request the payout via PayPal. Register here and start earning with SeedingUp. Another platform that works and where I get assignments, from time to time. Sign up here and submit your website. Check their guide if you need specific information, but it’s all pretty straightforward. No, it’s not a typing mistake, that’s the title of the site. You can use it to monetize your newsletter or to find opportunities for sponsored posts. If you want to be part of this awesome paltform, you can apply here. I have already worked with /syndicate and it has been a great pleasure. The selection can be pretty hard (like to be listed at BuySellAds marketplace to sell banners), but if they accept you, you will be assigned a personal assistant which is going to guide through the completion of your blog listing. For example, SearchEngineJournal is listed there at $1,700 for each sponsored post (they have 900,000 pageviews each month). I’m sure you are already making money with sponsored posts on your blog. If not, I hope this small guide will help you start with this monetization method. I’ll be updating this post, from time to time, with new platforms and resources to help you generate revenue with blogging. And remember. Be sure to consider your readers as the top priority and do not oversell your blog. Good luck! Do you have any other resources to add? Are you going to sign up to the platforms mentioned? Are they new to you? Please share your knowledge and experience in the comments below, thanks! Copy My Three Top Ways I Make Money Blogging! Superb list you have shared. I think this is for the bloggers above my level. Anyway I will definitely try my luck after some months. Sponsored reviews are the sweet piece of cake when it comes to money-making, right sir? But I think getting a sponsored post is hard. After getting, nothing to worry but post. They don’t demand any impressions or hits. We get paid for the words. That sounds good. I have heard about only one site from your list, sponsoredreviews.com . All the rest are new to me. Thank you so much sir for this yet another superb post. good to see you leaving the first comment in this post. I visited your blog and you have few articles published. I think you need at least 20 posts, or more, to start making money with sponsored reviews. But don’t worry, keep working and this time will come. Good luck and keep blogging. Can you update the recent scenario for sponsored guest post for Indian Bloggers? I didn’t know about Syndicate man so I’m checking it right away. Thanks for bringing it to my notice. I remember to have read a mention to Anne’s article from one of your posts. Good luck with /syndicate and have a great week. 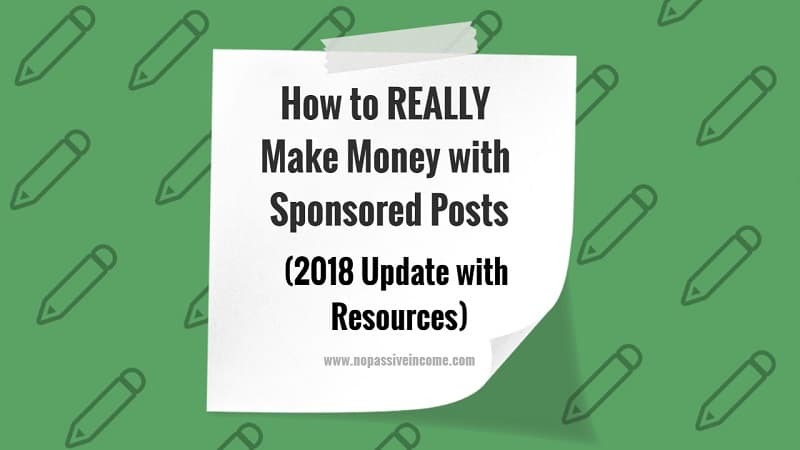 Great tips about sponsored posts and I have read Sue’s article which I believe is a good post that solves the issue of sponsored posts. I will check the articles. I agree that advertisers should focus on domain authority but this concept is yet to sync in. Some advertisers still focus on page rank and this really has made bloggers with no page rank to charge less for posts. Thanks for sharing this tip. Have a nice week. It’s weird advertisers are still focusing on PageRank, even after it was announced to be dead (well, not be refreshed anymore). I’m really curious what will be the next move of Big G.
Great blog post on sponsored blog posts. I was looking for some other sponsored blog post companies to sign my websites on. Thanks for writing the blog post. 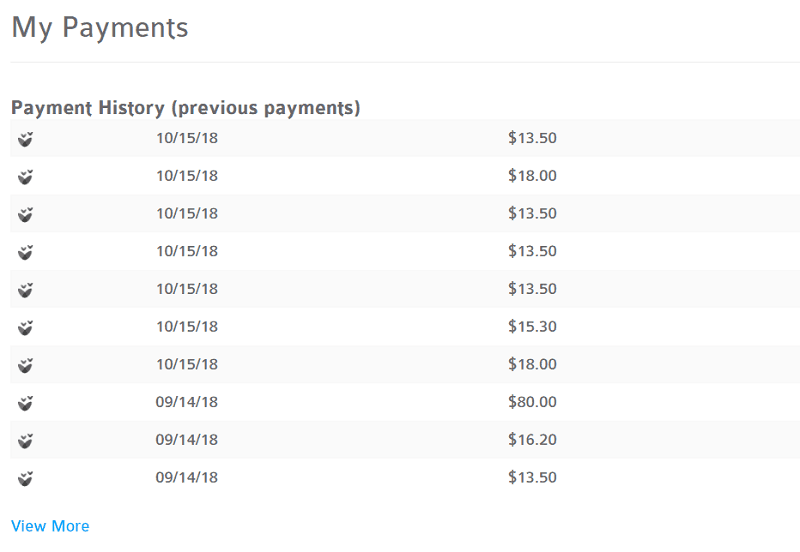 I have been a member of SponsoredReviews and Linkvehicle for awhile now and I made good money with Linkvehicle , but not so many offers came from SponsoredReviews though. What do you think about sponsored blog posts companies ,Linkworth.com , reviewme.com , tomoson.com and momsaffiliate.com ? thanks for mentioning those resources. A couple of them are new to me. While with Linkworth.com and Reviewme.com, I haven’t receiced any assignement yet. Surely the sponsored posts are the good source of income for many bloggers out there but joining these websites can hamper?? As my blog was listed once in postjoint and as google banned that my site got the penalty as well but later I did changes to my site, excluded from postjoint then the penalty was revoked. What do you say about this?? By the way, Nice post on a very nice subject! Of course, you need to pay attention on what you publish on your blog and the networks you use. Can you please be more specific on what happened with Postjoint? Can you share more details? Postjoint is a marketplace where if you blogs are listed with all the details such as pR, DA, alexa etc. then there are chances of getting good paid posts. Thanks for your reply, Atish. But I was already aware of what happened to PostJoint. What I meant is that you could share more details about your personal experience. Like what happened with your blog. So you have removed the links from the posts you got from PostJoint, and you had the penalization removed, is that correct? Actually I never submitted my blog to PJ but someone did it and whenever he got offer he came to me asking for paid post. I did that without any problem but one day i have seen my blogs PR went to zero.. and then a outbound link penalty in webmaster. Then one of my friend said that its because PJ as it was just penalised 1-2 days ago.. Then what I did is , I made all the questionable links nofollow and tried reconsideration to Google. Within 2 weeks I got a message in webmaster that the penalty on your site has been revoked. This is how my experience was. From then, I have been careful to avoid such marketplaces. Thanks for sharing your experience with PostJoint here. I’m glad you got the penalty removed right away. We must be careful of the sites we are going to link out! Wow. It is easier to make money with the sponsored posts. I agree with you that we should have a limit on the number of sponsored posts. Thank you for sharing the sites that offer sponsored posts. to help you make money with sponsored posts. This list is very useful. I was aware of the sponsoredreviews but will now explore the rest. Thank you for sharing. Yes, sponsored posts are one of the main source of revenue to the bloggers other than the direct advertisements. glad you learned some new resources here. Hope they help you increase the website revenue. happy to hear you learned something new here. Erik I really like Sue’s graphic. That’s smart and it just makes plain sense to work off of a graphic like this based on PR, visits and the like. As PR may not be changing much you said it; work off of other metrics which demonstrate the in-demand nature of your blog. i accept sponsored posts from the most trusted sources too;gotta know the guy or gal inside out to accept their work on my blog. Super information shared here buddy, thanks much! I like it too, Ryan. It gives a rough idea on how much you should ask for a sponsored post on your blog. It’s great to see you here, mate. A very profitable post and all the three sources that offer sponsored post are quite good. But one needs to check twice the outbound link to put in his post before accepting the offer. Usually people place an Advertise page at their blog and just wait someone would be offering them and that’s all. For advertising one needs to fully follow the outbound marketing strategy and keep dropping the offer at every reliable place to get as much gigs as possible. Yes, initially a blogger needs to focus two things; improving the blog rank and attracting more and more traffic to publish lesser sponsored posts in a month and earn higher revenue. So many such posts affect the crediblity of blogger and he is considered a blogging just running after money and nothing to do with customer care. Thanks a lot for sharing this really a money-making post. It’s indeed very important to check inbound links on our blogs. We need to accept just sponsored reviews of products or services, which are relevant to our niche. Also, they must be interesting for our readers, as we don’t want to lose our audience trust. it’s a pleasure to see you here. Great list you have shared.People Earn Money with Sponsored Post it is very best and safe way. glad you enjoyed the information here. How are you doing ? It’s been a long time. Hope all is well. Okay let come to point this is an Excellent tips you’ve provided. Al though I haven’t start monetizing my blog, but this post will really help full to me in finding the ways of money making from sponsored post. Thanks for graphic too, this will eventually help all bloggers to how much that they charge for it. I hope these resources will help you monetize your website when you will be ready for. I’ll jumping to your blog right now to read your latest article. Thanks for the kind words, AAksha. I’m not a big fan of multi niche blogs, as they cover too many categories. The blog itself has nice layout, you are doing a good job. I must say its really wonderful post and could easily earn lot of money using this methods. glad you learned something new here. Yes, according to your estimation, I have been getting money from sponsored post. However, the only platform I tried just sponsoredreviews, I do not know the other two that you mentioned in this article. Thanks for sharing this post, Erik. Have a great weekend for you! good to hear your positive experience with sponsored posts. I get my biggest deals by being contacted from advertisers. Other than that, I make direct offers to specific products or services, which are relevant to my niche. Finally, I get some work from those intermediaries I mentioned in this post. have a great rest of this week! Sponsored posts are a great way to earn some quick money. You can also use them to provide valuable information to your audience. However, most bloggers use sponsored posts on their blog that’s not really related to their niche. This actually makes the loyal readers really unhappy. Sponsored posts should always within the niche your blog is in. We need to pay attention which products we accept to review on our blogs, Brian. And we need to add that “nofollow” tag, Google suggest to use for sponsored posts. At the same time, as you stated, we need to write informative content for our readers. Hey Erik, I have a blog (eyes4tech) site from which I feel is matured and popular enough to take this next step. That’s why I am very grateful for you putting up this page and I might give it a shot. I had some amazing reviews too so I think I can check with Buy and Sell ads. Crossing my fingers! I visited your website (eyes4tech.com). As per submitting it to BuySellAds network, good luck with that. Just remember that in order to be accepted they consider several factors. The main among them is the traffic. I guess they look for sites +60/80k pgeviews monthly. Good to be at your blog. You share a great list, may this will help me to increase some of my income. hope these resources will help you with your blog income. Great blog post here… Actually i .am making a comment from my mobile device so am unable to express more of my feelings on This great article. Thanks for the comment, Babs. Does my blog look good on mobile? This is a nice method to earn money from paid reviews. I have never heard about these sites, thanks for introducing me with these sites. This post is really informative and useful for me. Glad to read that, Rahul. Good luck with those sites. Thank you, Eric, for the great story, you have shared about sponsored post. Have shared on twitter @Digitaldoubt. I love to read your post as it makes sense for a new way of money making idea. Thanks for the support, Washim. I hope you can find these resources useful to make money with sponsored posts. Informative, in-depth and good content. Do I need to add more about it? A Suggestion : I’ve seen many platforms which offer similar Partnership and Sponsored Posts process, I would recommend you to add few more platforms maybe? As it would help newbies for more options to browse through! thanks for the awesome feedback and for the suggestion. I’ll release soon an updated guide on places to monetize a website! Does anyone know about a sensible microinfluencer network such as cooperatize that provides brand collaboration opportunities? Have you tried SeedingUp, Nikita? Erik thank you. I have regtd. But I have Google Adsense. Is it ok? Yes, sure, you can submit your sites. Thank you, I will just get started . A wonderful list! thanks for it. Hi Erik, thanks for the updates on this. I do have a question, do you need to put in a sponsored post on each or is it okay if you have a disclosure page or have it on your footer on every page? Thanks for sharing about these, I signed up for the ones I had not before. These are great! thanks for commenting to this new blog post update! It’s present on each page of my site (and I placed it in the footer). Great article. I am familiar with some of the mentioned resources here like Valued Voice. Initially, I was getting sponsored posts from them. But since after migrating to the premium subscription I didn’t get any offer from them. It’s more than 4-5 months now. Do you have any tips to share for getting more sponsored posts from Valued Voice? Thanks a lot for the detailed writing. It’s really useful. Good to read the updated post again. Sponsored posts are really a great idea to make some extra money via our blogs. Thanks for sharing it again via twitter. Good to read the reactions of your readers. Have a great time of sharing ahead. I tried Seeding Up but never heard from them. Advertising page is a nice option to make money with Sponsored Posts. Very nice post as usual. Here, happy to know about the tips on how to make money with sponsored posts. The way you have explained the whole post is awesome which is easy to understand. By implementing these strategies in a right way one can easily make money with sponsored posts. Here, Happy to know about some websites for doing sponsored posts. I have never try my foot with sponsored post. you have made me realized that its a viable avenue to generate income for blogger. i will definitely give it a try. Thanks for this eye opening article. Monetizing the website or blog is increasing the challenges nowadays. If we want to start a blog and earn money online then the critical advice is to consider Sponsored post and paid reviews to the website and blog. Monetizing a blog is not a natural but sponsored post are still a viable and valid way to add an income stream to the blog or website. Sponsored posts are one of the great way t make a good amount of money. But your website must have to be in that niche, otherwise, the offers will not be interesting. Thank you for sharing this awesome article. Recently i have started making very small money from sponsored posts ..With the tips taken from your writing , definitely my earnings will increase ..Will get back to update you..
You just nailed it with the advanced tips of money making from sponsored posts that helps newbie bloggers like us. Please keep writing such informative articles.